If you're going to be in the country, you might as well support their team! 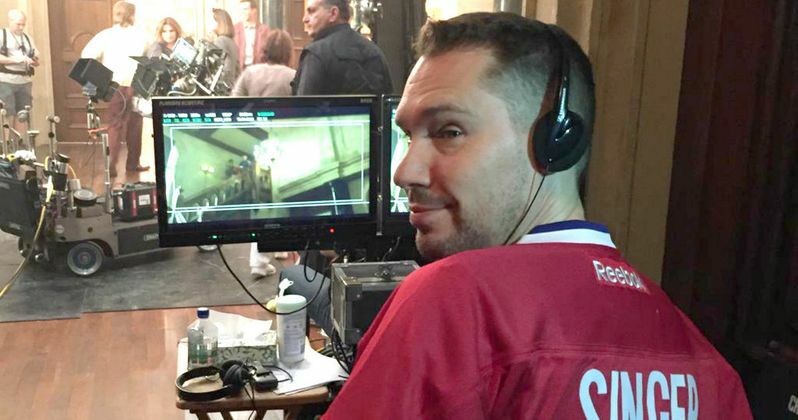 That's director Bryan Singer's thought, anyway, as he continues to shoot his latest sequel X-Men: Apocalypse in Montreal. The man, who is responsible for launching the X-Men franchise, which kicked off in 2000, was spotted sporting a custom made jersey for local hockey team The Canadiens. The team tweeted out the photo, which brings us back to an iconic location from the Marvel comics. Yes, this latest set image from X-Men: Apocalypse takes us inside the X-Mansion for a look at shooting. We can almost make out star Nicholas Hoult, who returns to reprise his role as popular mutant Beast. Though, we don't know too much more about the scene taking place here. The film is the third in a trilogy that started with 2011's X-Men: First Class, directed by Matthew Vaughn, and continued with last year's X-Men: Days of Future Past, directed by Bryan Singer. This latest installment is set in the year 1983.